ERROR: Insufficient authorization to access C:\WINDOWS\system32\test.html. If I want to use a relative path, I need to change the current working directory. Fortunately, there's a simple way to do that. Here's my log output. Notice how the HTML file and the output data folder are both created at locations relative to my home directory. NOTE: The current working directory is now "C:\Users\sascrh\Documents". NOTE: Library OUTDATA was created. 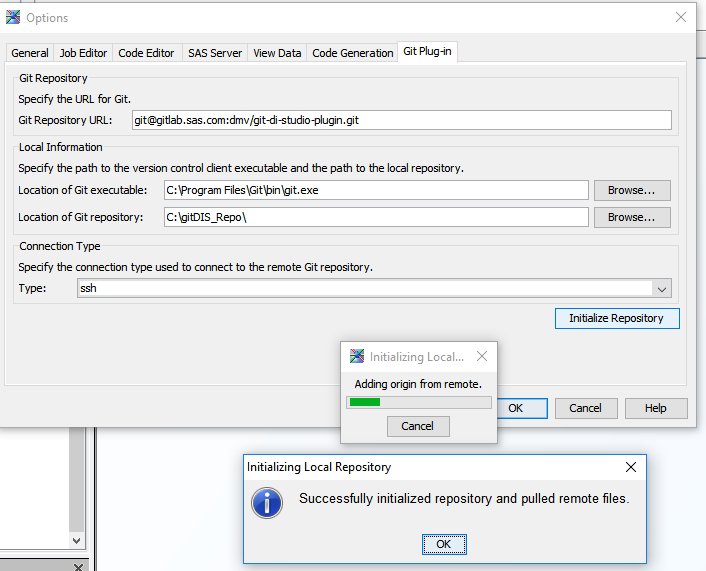 If using SAS Enterprise Guide, you can add DLGCDIR function steps to the startup statements that run when you connect to SAS, ensuring that your working directory starts in a valid location for SAS output. 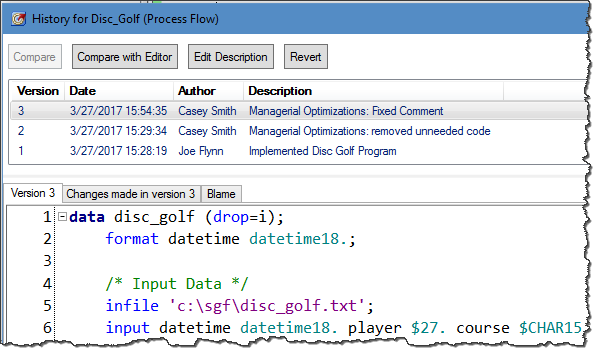 You can specify those statements in Tools->Options->SAS Programs, "Submit SAS code when server is connected." A SAS administrator can also add code to the AUTOEXEC file that runs when the SAS session begins, thus helping to manage this for larger groups of SAS users. The post Manage the current directory within your SAS program appeared first on The SAS Dummy. SAS Studio is the latest way you can access SAS. This newer interface allows users to reach SAS through a web browser, offering a number of unique ways that SAS can be optimized. At SAS Global Forum 2018, Lora Delwiche (SAS) and Susan J Slaughter (Avocet Solutions) gave the presentation, “SAS Studio: A New Way to Program in SAS.” This post reviews the paper, offering you insights of how to enhance your SAS Studio programming performance. This new interface is a popular one, as it is included in Base SAS and used for SAS University Edition and SAS OnDemand for Academics. It can be considered a self-serving system, since you write programs in SAS Studio itself that are then processed through SAS and delivered results. Its ease of accessibility from a range of computers is putting it in high demand – which is why you should learn how to optimize its use. A SAS server processes your coding and returns the results to your browser, in order to make the programs run successfully. By operating in Programmer mode, you are given the capabilities to view Code, Log, and Results. On the right side of the screen you can write your code, and the toolbar allows you to access the many different tools that are offered. Libraries are used to access your SAS data sets, where you can also see the variables contained in each set. 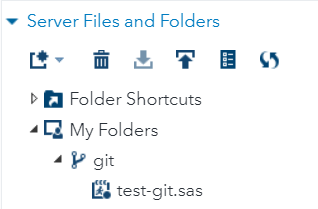 You can create your own libraries, and set the path for your folder through SAS Studio. In order to view each data set, the navigation pane can also be used. Right click on the data set name and select “Open” to access files through this method. 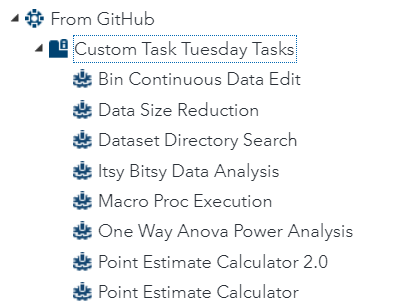 These datasets can be adjusted in a number of ways: columns can be shifted around by dragging the headings; column sizes can be adjusted; the top right corner has arrows to view more information; clicking on the column heading will sort that data. In order to control your data easily, filters can be used. Filters are accessed by right-clicking the column heading and selecting the filter that best fits your needs. 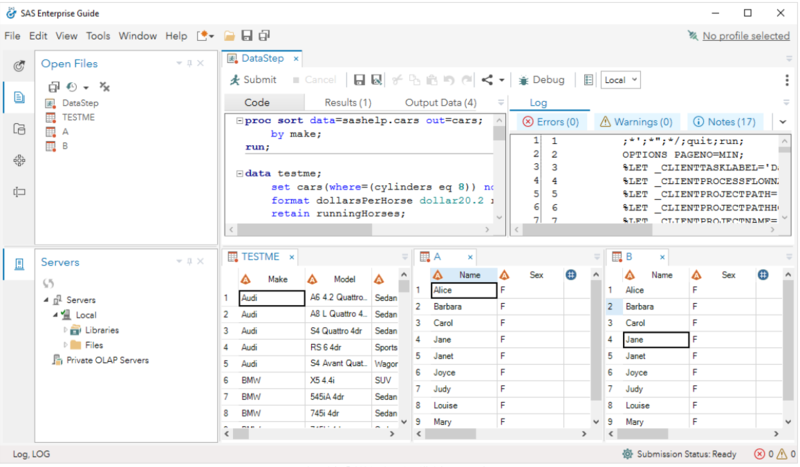 A unique feature to SAS Studio is its code editor that will automatically format your code. Clicking on the icon will properly format each statement and put it on its own line. Additionally, syntax help pops up as you type to give you possible suggestions in your syntax, a tool that can be turned on or off through the Preferences window. One tool that’s particularly useful is the snippet tool, where you can copy and paste frequently used code. After code is written, the Log tool can help you review your code, whereas Results will generate your code carried out after it has been processed. The Results tab will give you shareable items that can be saved or printed for analysis purposes. These insights offer just a glimpse of all of the capabilities in programming through SAS Studio. Through easy browser access, your code can be shared and analyzed with a few clicks. 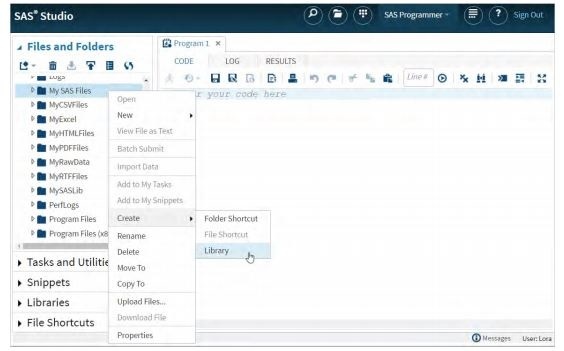 SAS Studio: A new way to program in SAS was published on SAS Users. The title of this blog says what you really need to know: SAS Enterprise Guide does have a future, and it's a bright one. Ever since SAS Studio debuted in 2014, onlookers have speculated about its impact on the development of SAS Enterprise Guide. 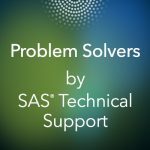 I think that we have been consistent with our message that SAS Enterprise Guide serves an important purpose -- a power-user interface for SAS on the desktop -- and that the product will continue to get support and new features. But that doesn't stop folks from wondering whether it might meet sudden demise like a favorite Star Wars or Game of Thrones character. I recently recorded a session with Amy Peters, the SAS product manager for SAS Enterprise Guide and SAS Studio. Amy loves to meet with SAS users and hear their successes, their concerns, and their ideas. Her enthusiasm for SAS Enterprise Guide comes through in this video, even as I bumble my way through the prototype of the Next Big Release. In addition to a much-needed makeover and modern appearance, the new version of SAS Enterprise Guide (scheduled for sometime in 2019) addresses many of the key requests that we hear from SAS users. First, the new version blows open the window management capabilities. You can open and view many items -- programs, data, log, results -- at the same time, and arrange those views exactly as you want. You can spread your workspace over multiple displays. And you can tear away or dock each item to suit your working style. Second, you can decide whether you want to work with a SAS Enterprise Guide project -- or just simply write and run code. Currently you must start with a project before you can create or open anything else. The new version allows you leverage a project to organize your work...or not, depending on your need at the moment. And finally, you can expect more alignment and collaboration features between SAS Studio and SAS Enterprise Guide. We see that more users find themselves using both interfaces for related tasks, and presenting a common experience is important. 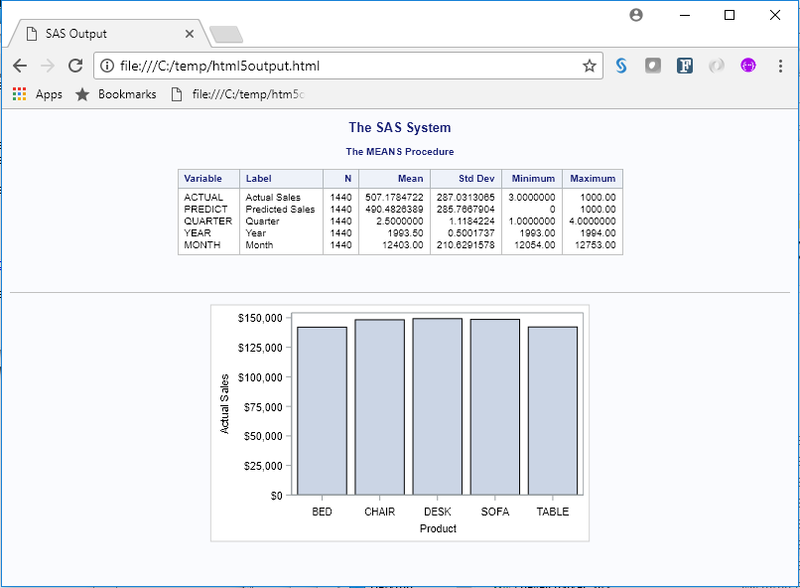 SAS Studio runs in your browser while SAS Enterprise Guide works on your desktop. Each application has different capabilities related to that, but there's no reason that they need to be so different, right? For more information about what the future will bring, check out the communities article that recaps the SAS Global Forum 2018 presentation. It includes an attached presentation slide deck with many exciting screenshots and roadmap details. All of this is subject to change, of course (including release dates! ), but I think it's safe to say the future is bright for SAS users who love their tools. The post A productive future for SAS Enterprise Guide appeared first on The SAS Dummy. The post Learn about SAS Studio, SAS Enterprise Guide and (drumroll) SAS Viya at SAS Global Forum 2017! appeared first on SAS Learning Post.